My recalculation came to 59 as well! I was watching that show Street Smarts one day, and they were filming at the Freemont Street Experience in Las Vegas. 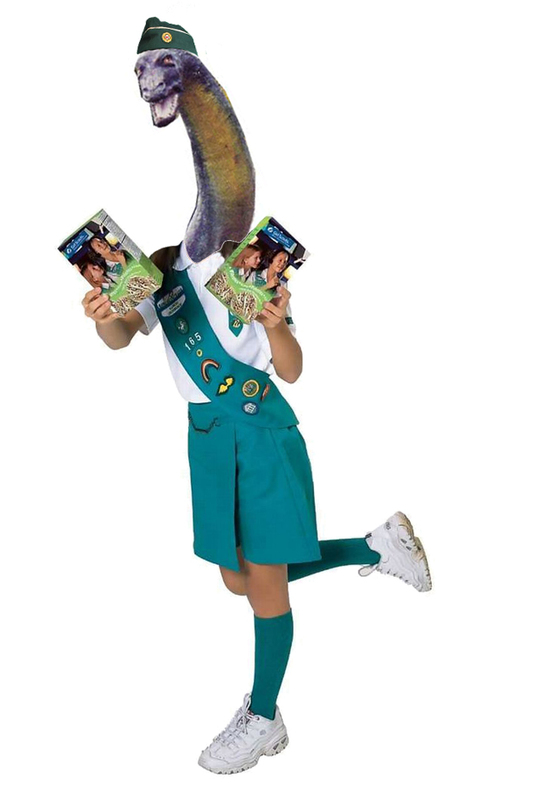 One of the questions was "what is the Girl Scout motto?" The guy thought about it for a long time. His answer was "Sell, sell, sell!" MaxBuck, Fungo Squiggly, kujirakira and 1 other person like this. How Much Can Justin Fields Do This Season For The Buckeyes? If you ducked out the door from work a little early on Friday, you might have missed some big news that Ohio State football program had been waiting on. 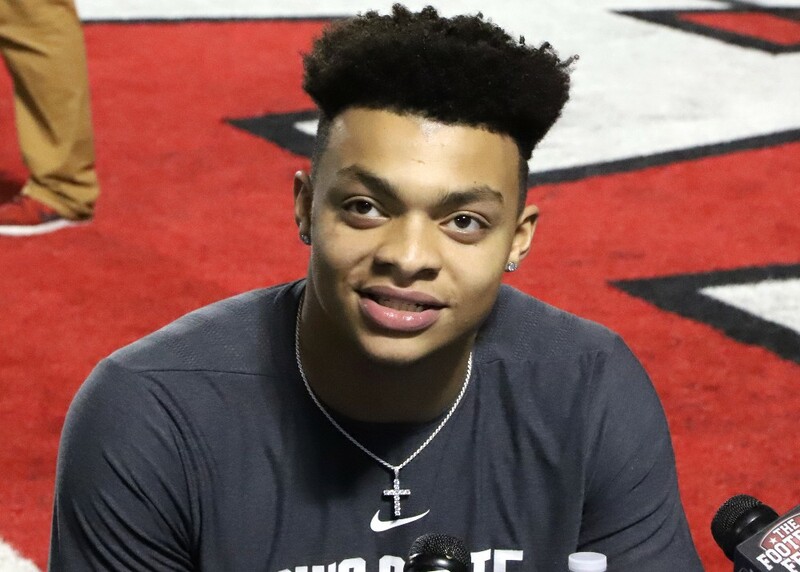 Quarterback Justin Fields, who transferred from Georgia in January, was declared immediately eligible to play for the Buckeyes. The news was expected, but still a huge deal for the 2019 team. For one thing, it ensures that OSU has three scholarship quarterbacks eligible to play this fall. But it also gives the Buckeyes a uniquely-talented playmaker, considered one of the top passing and running quarterback prospects in recent years. Now, the question is how quickly Fields can pick up the Buckeyes’ offense. Before he transferred to Miami, Tate Martell warned that it wasn’t easy to contribute your first year in the system. It’s easy to dismiss that as just big talk designed to scare Fields away. But OSU head coach Ryan Day seemed to back up Martell’s general point last week, when he said they might have to simplify things for Fields in year one. It’s still very early in the learning process for Fields, but he said he’s making some progress. “Well, I have great coaches around here, so I think I’m picking up the offense pretty well. We’re just meeting every day and I should pick up the offense pretty well. Hopefully,” Fields said. Fields was ranked as the No. 2 quarterback in 2018 recruiting class by the 247 Composite. The only player who finished ahead of him at the position, Clemson’s Trevor Lawrence, is an example of the difference a first-year quarterback can make for a program. He just has to be a generational talent – and a quick learner. But Day said he sees some parallels there. brodybuck21 and FCollinsBuckeye like this. Wow, we've won big people. Everyone is seriously excited and should be. I still don't think we've all realized just yet though how much we've won. sparcboxbuck, scarletngray, TooTallMenardo and 1 other person like this. Fields seems to have what JT brought with his legs and what DH brought with his arm. A very rare and elite player. Hopefully he has the leadership skills to get the job done both on and off the field. Looks/sounds like he's got his head on straight. Fields, Baldwin, Miller should be a helluva run if Day & Co. can keep things together. scarletngray and kujirakira like this. A must see: Several great videos in the embeded link (above) or link below. 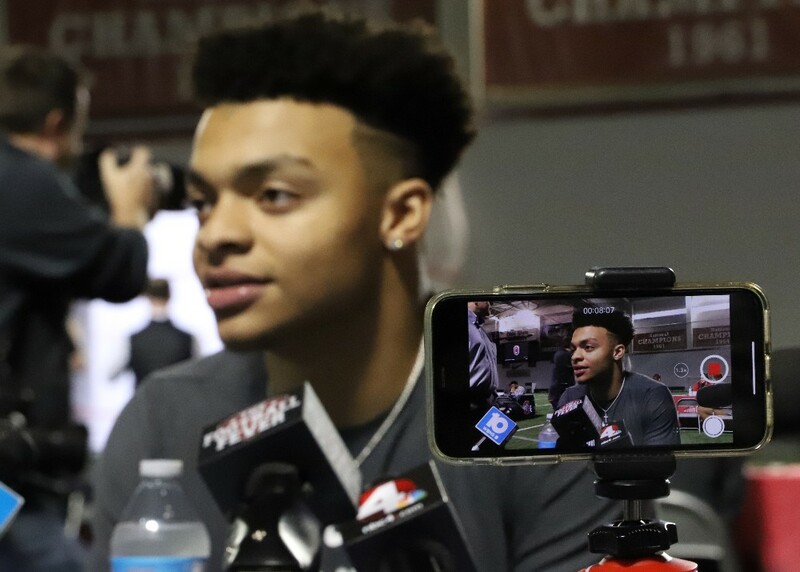 Why Was Ohio State the Right Fit For Justin Fields? When Justin Fields decided to leave Georgia and enter the transfer portal, he could have gone anywhere in the country. As one of the top two quarterbacks in the 2018 recruiting class, no head coach was going to turn him away if he showed up on their doorstep. When evaluating which doorstep he wanted to approach, Fields looked at coaches and quarterbacks to see who had the kind of offense that he would want to play in. It was no surprise that Ohio State and Oklahoma were the two most prominent names mentioned during his re-recruitment. Both schools have had either record-setting quarterbacks or Heisman winners each of the past two years. And both schools also happened to be looking for a new starting quarterback. Fields eventually settled on Ohio State, doing so for a number of reasons. It also didn’t hurt Ohio State’s chances that Fields and former Buckeye quarterback Dwayne Haskins were friends and have trained together in the offseason. Haskins was able to provide honest, accurate answers for any questions that Fields had about Day and life as a Buckeye. Once Fields made his decision, Haskins was also able to give him a first-hand account of what it takes to be Ohio State’s starting quarterback. Ryan Day didn’t necessarily make the case as to why Ohio State was right for Fields. The Buckeye football program is hardly a secret, nor was the season Dwayne Haskins just had. Rather, Day presented facts and wanted to make sure the fit was a good one. And Fields wasn’t looking for a pitch anyway. I think we're all hoping for that, but we're also counting on his running to cushion the learning curve. No way he's Haskins right away in this offense, but I think he's athletic enough to keep the chains moving while we work toward that. Go Bucks!! !, Bestbuck36 and pnuts34 like this. Welcome to Ohio State, kid. Here's 20 cameras in your face on the first week of March. brodybuck21 and jenkinswoody like this. All I have to hear. Will be easy to root him this guy. Who allowed a guy with a blue sweatshirt in?? ?